Attention All Beta Testers - Extend your Little Reader License! - . :Early Learning Community:. 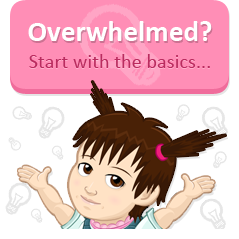 BrillKids Forum > Little Reader - General Discussion > Attention All Beta Testers - Extend your Little Reader License! Re: Attention All Beta Testers - Extend your Little Reader License! both my son so happy with little reader very..very much.. I just downloaded the little reader yesterday, and today my little son (he will be 2 years old in september) was already using it by himself, he learnt each time he presses ENTER something is coming up and he is repeating everything after the voice in the little reader. i have been recently searching in internet for some good website for this age babies but couldn't find something good and here it is by chance i find the Little Reader, this is really a beautiful and cool program, and I hope it will help us too much in learning..
My son Zachary loves the software. My wife and I have added over 100 sounds and photos to the animals list and he just loves it. So can we have a license please? We would greatly appreciate it. I use beta reader with my granddaughter who is with us every weekend. Her mom was afraid that I might be pressuring her to learn but she asks for it at times by asking to be seated on my lap while I am on the computer. I have started on the action words, the animals, shapes and colors, flowers, food and she is just fascinated with them and is glued to the screen. She imitates the actions in the action words and loves the animals category specially the one which has the animal sounds. Since she is 1 year old and is just beginning to talk, she surprised her lolo (grandfather) by saying 'cat' when she saw a cat. I hope that this will be her introduction to not only reading but also learning new words. Please send me a key that I can use to continue my beta testing. I love using little reader with my son and he loves using it too!! Please send me the link to extend my software license! My baby is so happy leaning new words and recognizing sounds with the little reader, and of course for me as a mother is a very helpfull tool. This site is very helpfull to teach my kid. My sincere thanks to u all. Can i have the extension license key to continue beta testing. I need an extension for my Little reader license. My son and I absolutely love the little reader. Every time I play it, he would stare at pictures with his curious eyes. I think it helps him to focus. Please send me the extension license key. Thank you very much! My Daughter and I absolutely love the little reader. She is addicted with Little Reader. May I please have the key to extend our use? I downloaded & installed the Little Reader yesterday... I quickly showed it to my 10 months old boy... He was so engrossed looking at the Little Reader... I managed to finished 8 categories with him before he crawled away... This is amazing! Thanks Little Reader... We love Little Reader! Pls help to extend my license... Appreciate it! yes my gablo dablo loves it a lot.means my 8 months old son.when ever i open my laptop he wants me to play that.